I am very pleased to announce that I have finally arrived at a Tabla that I am prepared to present with my name on it. It is the “Hossam Ramzy Signature Series”. All these drums were made by my own makers, under my vigilant observation and strict instructions and directions to bring to you a drum that I am prepared to just pick off the shelf and take to a gig or on tour. I supervise every step of making each drum, personally. I made them from the best quality Aluminium alloys and I made sure that every little small detail is taken care of so that you have a Tabla, I am proud of. The drum has my unique Logo on it, so even if the pattern is copied, they will NEVER DARE to copy the logo. You will have a drum that has a part of me there…. 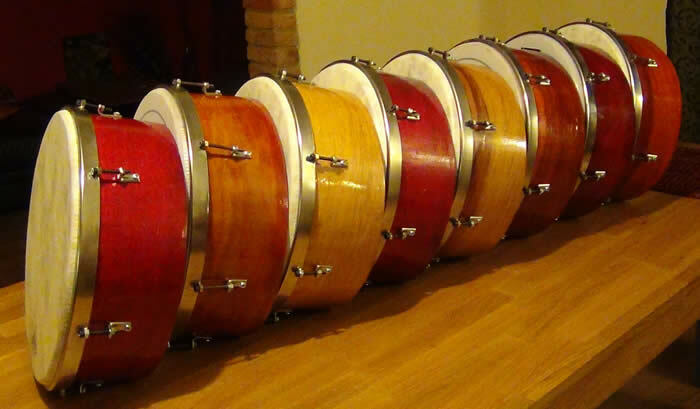 I looked after each and every drum being made as I do for my own. 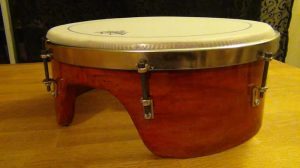 A professionally made Duff (Egyptian Frame Drum) of the best Lemon Wood from Egypt. Specifically designed to produce an excellent Dom that will hit at the heart of the bass frequencies as well as a tangy Tack that is very sharp. 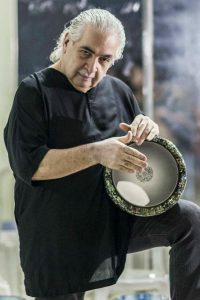 A drum created and used by Hossam Ramzy, Egypt’s Number 1 International Percussionist for his live & Studio work. 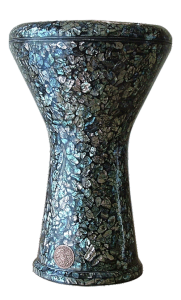 14” / 35 Cm in Diameter – 5.5“ / 14 Cm Deep. With a synthetic Weather King ® head by REMO, you won’t have to worry about heating it ever. Tuning lugs to balance your Dom & Tack and give you the flexibility of the sound you desire. The Duff will be available to purchase soon.